Professional development for faculty members has the potential to improve the quality of teaching and thus student learning, engagement, and persistence in postsecondary education. However, there have been few systematic efforts to study promising, sustainable, and scalable professional learning opportunities in higher education. Intensive professional development focused on instruction is rare in higher education. The wealth of research conducted in K-12 settings provides insight into features of high-quality professional development focused on teaching that could be applied at the college level. These include ensuring that training is relevant to problems of everyday teaching practice and that it engages with authentic curricular materials, encourages collaboration and self-reflection, and provides sustained engagement and support. In one example of this kind of professional development at the postsecondary level, small teams of mathematics professors collaborated over a semester on a course-refinement project, with activities including observing peer classrooms, reviewing classroom videos, and making curricular improvements in response to student assessment outcomes. However, these kinds of activities are rare in higher education; more common are one-time workshops or conference sessions on relatively decontextualized topics, such as using technology in the classroom, addressing learning disabilities, or enhancing student engagement. Several features of the structure and culture of postsecondary education make the implementation of sustained and intensive professional development challenging. These include professional norms of faculty autonomy, limited staff dedicated to instructional leadership, faculty responsibilities that extend well beyond classroom teaching, and institutions’ increasing reliance on part-time instructors. 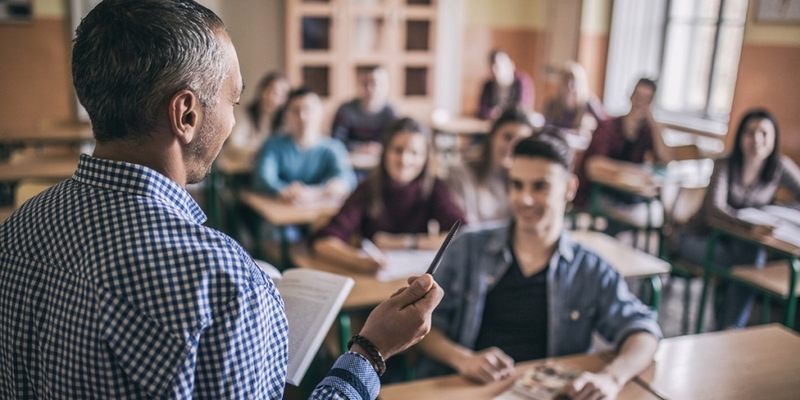 Professional development focused on instruction can be particularly challenging because postsecondary instructors tend to have limited pedagogical training and may have little experience engaging in critical discussions about teaching. Yet when faculty have the time and opportunity to reflect on their teaching in ongoing, structured, and supported ways, they find these activities highly relevant and meaningful to their professional lives. This support focused on refining curriculum and pedagogy may be a key component to continuing to improve outcomes for students referred to developmental mathematics. Lesson Study could help developmental math instructors improve teaching and learning in their classrooms. Lesson Study is one approach that embodies the principles of meaningful professional development in teaching. Lesson Study is a collaborative professional development intervention that has shown evidence of improving mathematics instruction among K-12 teachers. The model is typically implemented in an iterative cycle that includes selection of student learning goals, analysis of existing lessons, development and implementation of an instructional plan, focused observation of student understanding and engagement in response to teaching, data analysis, and refinement of instructional strategies. Despite a lengthy history of use internationally and in elementary and secondary schools in the United States, Lesson Study has rarely been implemented in higher education. In the community college context, Lesson Study has the potential not only to support individual faculty members but also to focus the attention of departments and institutions on critical questions of how to support student learning. Developmental mathematics is an area in which instruction-focused professional development would be particularly valuable. Mathematics has long been identified as a barrier to success for incoming community college students, and over the past several years community colleges have invested significant energy in improving developmental math via changes to course structure and curriculum. Among the more popular reform strategies is a pathways approach, which aims to enroll students into differentiated introductory and developmental math courses depending on their program of study. (See, for example, the CAPR study of math pathways in Texas.) A growing number of institutions are designing statistics and quantitative reasoning courses as alternatives to college algebra or pre-calculus for non-STEM majors. Students referred to developmental mathematics enroll in pre-college courses specifically designed to prepare them for their selected college-level math course. These courses do not simply reteach high school algebra content, and they frequently look significantly different from traditional math courses taught in college. Students are asked to draw connections to their career interests and lives, and the courses often involve writing, problem solving, explicit attention to students’ attitudes toward math and learning, and student-centered pedagogical strategies such as collaborative work and peer discussion. This approach to instruction may require a significant change in practice for mathematics faculty. New research is looking at Lesson Study in developmental math in Oregon community colleges. Within this context, the Community College Research Center (CCRC) and Education Northwest (EdNW) are embarking on a new project funded by the Institute of Education Sciences that seeks to adapt and pilot the Lesson Study model of professional development for use among community college mathematics faculty. Faculty at community colleges in Oregon are implementing a new quantitative literacy course, designed to prepare non-STEM students for Liberal Arts Math, that will require them to teach new content in new ways. In a survey of community college administrators and faculty members involved in the reform, professional development and training was the most frequently selected area of need. This project will examine the how Lesson Study can fulfill that need. Over the course of the four-year project, under the guidance of Lesson Study implementation experts from EdNW, teams of faculty and administrators will develop an adaptation of Lesson Study. Particular attention will be paid to how to design a faculty development model that allows for the participation of adjunct faculty. Given the high proportion of community college students taught by part-time instructors, adjunct faculty are essential stakeholders in any sustainable and scalable initiative that seeks to improve outcomes for students. CCRC will conduct implementation research, including a pilot study, to assess the promise of Lesson Study for improving teaching and learning in developmental mathematics. Lesson Study is an approach to professional development that brings the intricacies of teaching practice and student learning into focus through collaborative and sustained examination of curriculum and instruction. Developmental mathematics in community colleges, a focus of intensive questions about student learning and success, is a natural place to explore the applicability of this model to higher education. If successful, Lesson Study may have the potential to meet the needs of faculty across disciplines in two-year and four-year colleges. This project presents an opportunity to invest in postsecondary teaching and teachers in a way that acknowledges both the complexities of instruction and the centrality of part-time and full-time faculty to efforts to improve student outcomes. Susan Bickerstaff is a senior research associate with the Community College Research Center, a partner with MDRC in CAPR.